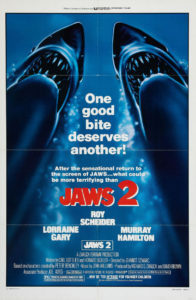 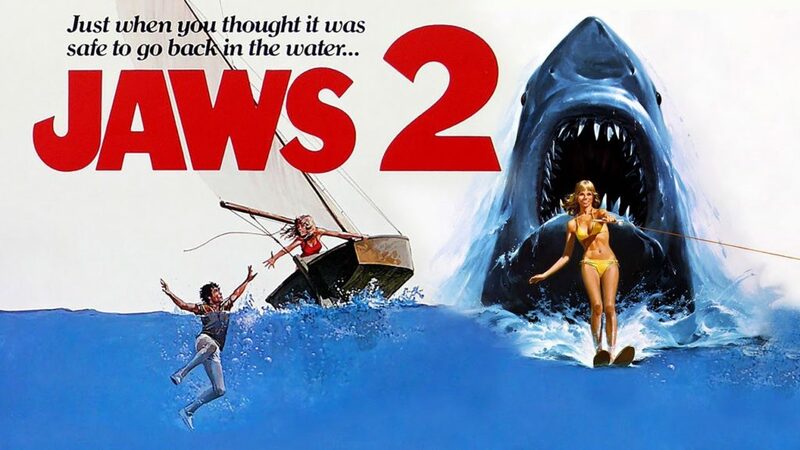 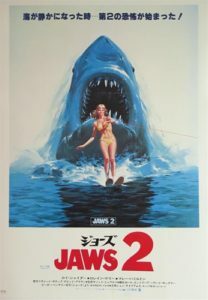 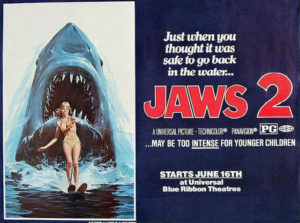 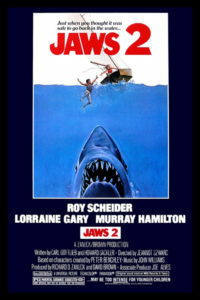 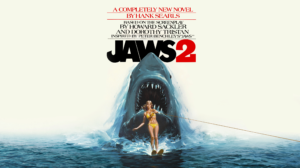 On June 16th 1978 the film that compounded a franchise, helped buoy up the allure and possibilities of the sequel, put new movie markets and marketing into action and was the best Spielberg sequel Steven Spielberg didn’t direct was first released in US cinemas. 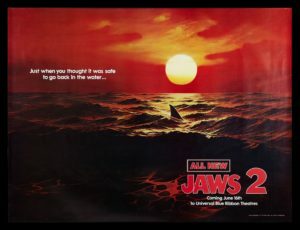 Blessed with a cracking score by John Williams (the gorgeous strings of the opening titles equal any piece from the original) and the benefit of most of the same cast, some locations (though the film left a lot of Martha’s Vineyard from the original behind in order to shoot in more agreeable Florida waters and towns) and enough momentum from the 1975 original to doggy paddle with its story head above the water, Jaws 2 is a firm favourite of both this sky kid and Watching Skies. 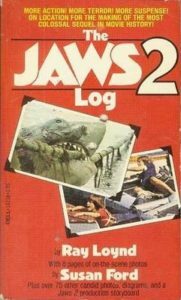 The Martha’s Vineyard Gazette recalls the time in October 1977 when the JAWS 2 circus came to town to shoot some town scenes.